Tickets for The Wailers plus Lee Scratch Perry are $42. They are on sale now and can be purchased through the theatre website at http://www.uptowntheatrenapa.com, at Ticketmaster (http://www.ticketmaster.com) or at the theatre box office (please call 707.259.0123 ext. 6 for hours). as well as reggae legends such as Peter Tosh, Bunny Wailer, and Burning Spear. As the greatest living exponents of Jamaica’s reggae tradition, the Wailers have completed innumerable other tours, playing to an estimated 24 million people across the globe. Grammy winner [Lee Scratch Perry, the godfather of dub and reggae share the bill. 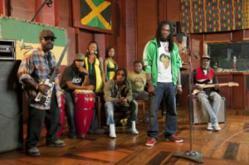 Don’t miss The Wailers plus Lee Scratch Perry on Saturday, December 10th, 2011. Doors open at 7:00pm, show starts at 8:00pm. Reggae music has never stopped evolving but for millions of people from around the world it’s still defined by the songs of Bob Marley and the Wailers. It’s been their heartbeat rhythms that have inspired so much of what’s followed since, as evidenced by the enduring popularity of the “one-drop” reggae sound. The anchor of the band is Aston “Family Man” Barrett, who in addition to being Marley’s most trusted lieutenant, played on countless other classic reggae hits throughout the seventies. The authenticity he brings to the Wailers’ sound is indisputable and yet today’s line-up combines old school know-how with lead vocals from one of Jamaica’s most exciting new singers. The Uptown Theatre Napa is ultimate destination for live concerts in the North Bay. An historic landmark, the Uptown is a phenomenal concert venue, offering an intimate live show experience, with excellent site lines and world class sound and lighting. Every seat is a great seat! To find out more, please visit http://www.uptowntheatrenapa.com.